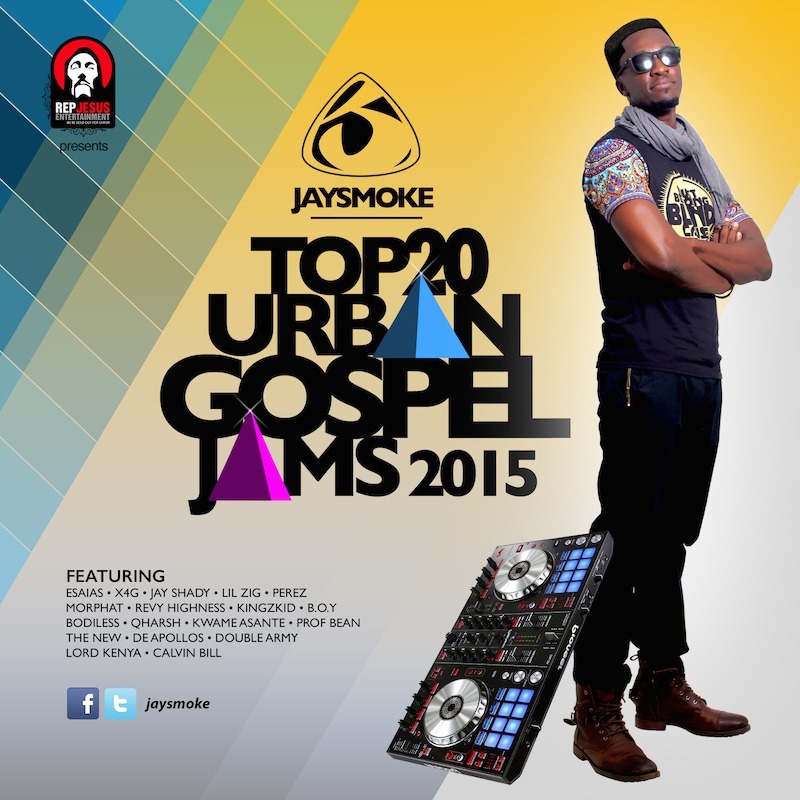 Known in the Gospel Music industry for his love for Urban Gospel Music, the radio/tv personality and Dj, JaySmoke has released a mix-tape of the Top 20 Urban Gospel Jams. 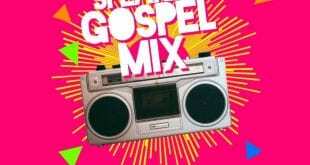 According to JaySmoke, the year 2015, has been full of talents channeled into Urban Gospel Music in the industry in Ghana and thus the need to bring to you the best in a compiled mix-tape. 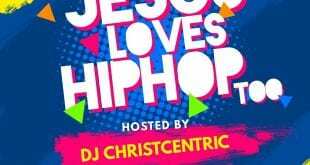 The compilation which features a mix of old and new urban gospel emcees and will surely get you on the dance floor. 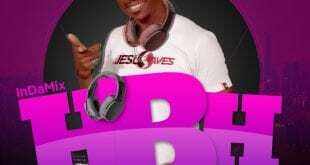 (1) Bodiless – Dance (2) Morphat – Blessed ft Regardless (3) Lord Kenya – Bonu Koko (4) De Apollos – Nyame Ye (5) Esaias – Oye Adie Yie (6) Kwame Asante – How you love me (7) B.o.Y. 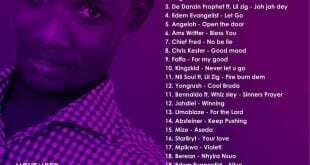 – Laa Nawuni (8) Calvin Bill – Sweetness (9) Double Army – Manti Mankebi (10) JayShady – Light it up (11) LKay – All I wanna say ft Empower (12)The New – Kan Wo Nhyira ft Nero X (13) Lil Zig – 2015 (14) Revy Highness – Prepaid (15)Prof Bean – God dey be (16) Kingzkid – A no dey lie (17) Perez Muzik – Shake it ft Kingzkid (18) Qharsh – Banjo ft EmPeraw (19)X4G – SepTEMber ft TEM (20) Perez Musik – For your love ft E Rock.